Manny may have one eye, but his super-sharp senses detected when something was wrong! 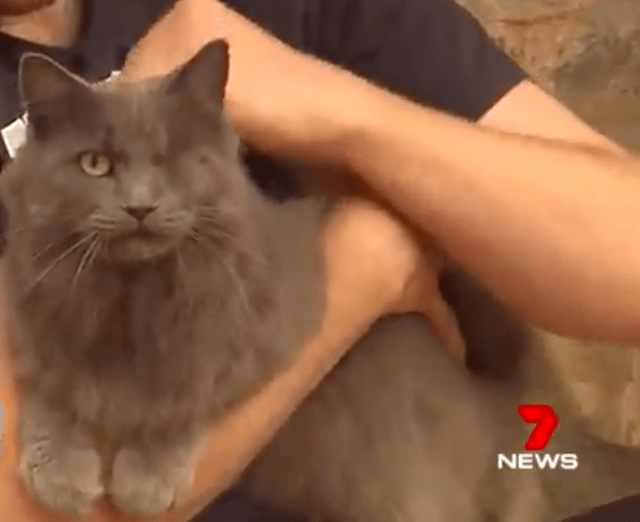 The fluffy gray kitty is a former stray who lost his eye in a cat fight. But that’s not the only reason he’s one tough feline! Manny was adopted 5 months ago, and when he woke his human early one morning, cat-dad Andrew figured that he was just hungry. But when his urgent meows sounded different than usual, he knew something was wrong. “(Manny) sometimes wakes me up at that time to be fed, but it was not quite the same as if he was asking for food,” Andrew explained in a story by The West Australian. Once roused, Andrew heard strange noises coming from the dining room. With only a shoe for defense, he crept toward the sounds. “The light in the dining room had been left on and when I came in, there was the intruder with his back to me,” he said in the story. 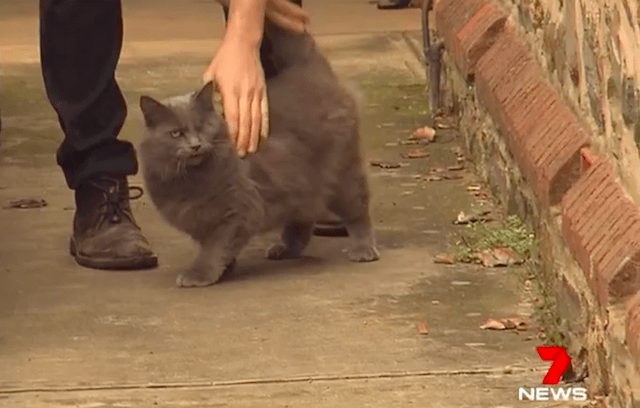 When he approached the stranger, Andrew caught him off-guard. “I asked him ‘what are you doing in my house?’ and he basically just walked straight past me and out the back door,” he explained to The West Australian. As the intruder fled, Andrew was able to make note of the information on his car, which he promptly relayed to police. Shortly after, the suspect was caught and taken into custody. 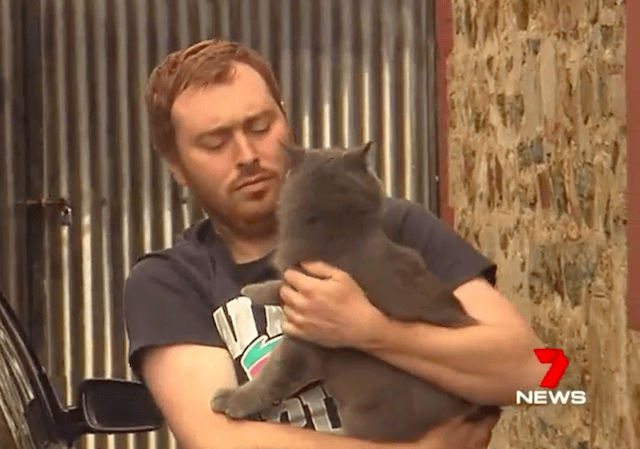 The proud cat-dad is convinced that Manny saved them from being burgled… or worse. 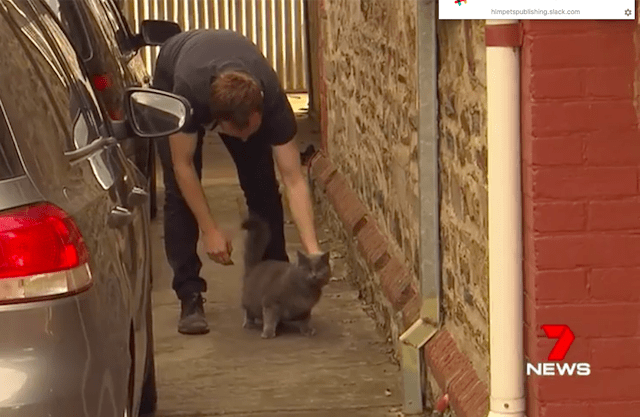 “Who needs a guard dog when you’ve got a cat?” he said in the story.